What if I come out and take the class and decide not to jump? If you go through the class and decide not to jump, you will be refunded less the $60 deposit. Once you have boarded the plane, the entire amount is non-refundable. Can I jump again the same day if I like it? Yes. Jump TN has a special offer for your second tandem. If you pay for it within 1 week of your first jump, it will only cost you $159. You can use it that same day, or save it and use it for up to one year later. 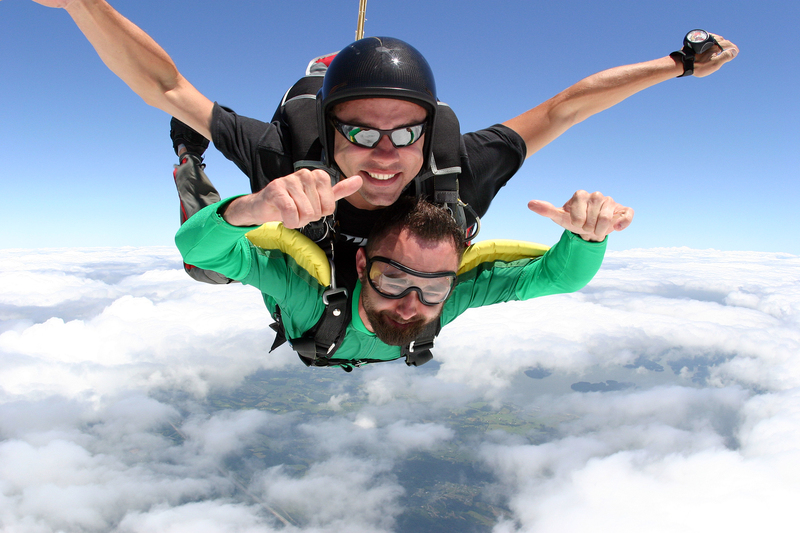 How long is the first tandem jump training? The class is about 20-30 minutes. Prior to the jump your instructor will walk you through the training again. Can I jump by myself the first time? Yes. 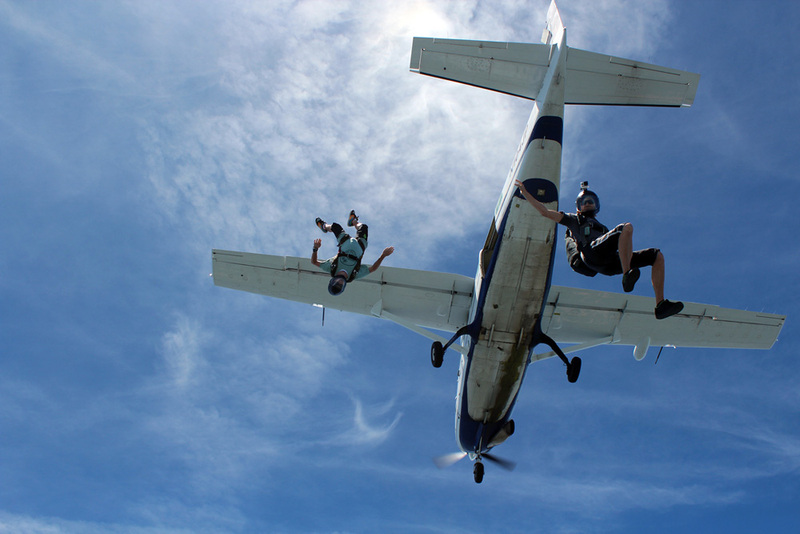 Although we highly recommend a tandem for your first jump, you can sign up for the accelerated free fall (AFF) program. As with any sport, the better shape you are in the easier it will be and the more fun you will have. However, we have taken people with many different disabilities. We have some of the most experienced tandem instructors at Jump TN. If you have a special requirement, call us. We can make your dream of flight come true! If you have a special medical concern, please contact your doctor. For weekend reservations allow yourself to spend the entire day . We encourage jumping on weekdays. Tandem classes last 20 minutes. After the class, the time it takes for you to jump has a few variables such as weather, if we are busy that day, and when you signed in. 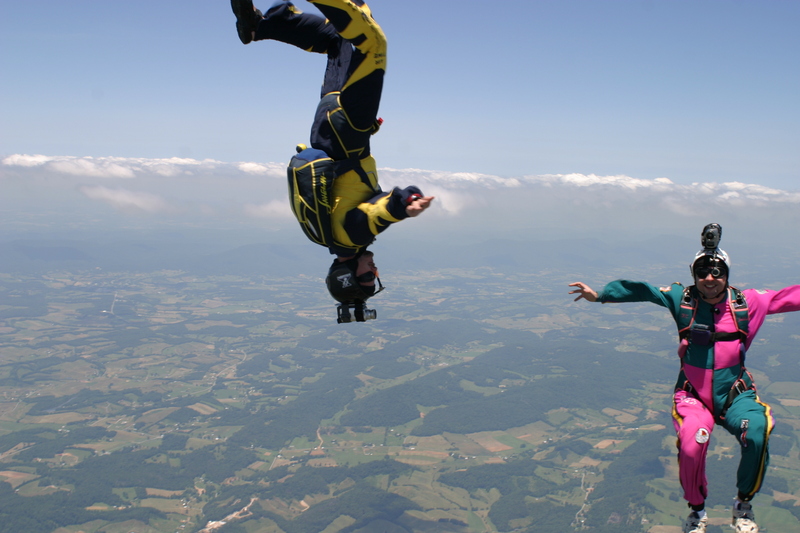 Ideally a tandem jump can be completed in half a day. Please remember though, be prepared to spend the entire day. Is there a weight requirement? Yes. For safety purposes jumpers must weigh no more than 240lbs. No exceptions can be made and weight will be verified. In very rare circumstances it may be unsafe to take a passenger even if under the weight limit if the harness does not fit correctly. Our instructors make the final determination to keep everyone safe. There is no maximum age but you must be at least 18 years of age regardless of parental consent. There are no exceptions to this rule. A valid photo ID (driver’s license, state ID, or passport) is required to sign up for class. If you do not have an ID, you will not jump. Although it is unlikely that your main parachute will fail to open properly, it does sometimes occur and this a common question. According to federal law, every jumper must be equipped with a main and reserve parachute. In addition, all Jump TN equipment are equipped with an Automatic Activation Device (AAD), which will automatically open the reserve parachute should the jumpers be unable to. The parachutes used today bear little resemblance to the classic round parachutes of years past. Today, nearly all jumpers use “ram-air” parachutes. these are rectangular in shape and, when open, act like an airplane wing. They are more like gliders than umbrellas. The aerodynamics of the parachute provides it with exceptional maneuverability, allowing the jumper to land almost anywhere he/she wishes. This wing shape is also what makes the tiptoe soft landings possible. 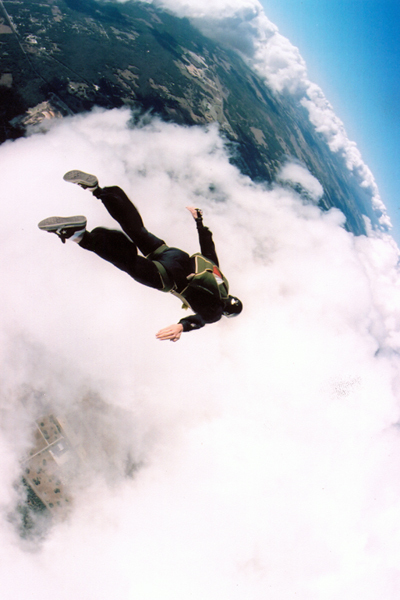 What if I love and want to continue skydiving? You can sign up for Accelerated Free Fall (AFF) training on the same day as your tandem and receive a discount on the First Jump Course. What is the landing like? Most landings are quite soft, with most people doing a soft sliding sit-down landing. Under certain conditions and at the discretion of the instructor, some people make a gentle stand-up landing. The average human body falls approximately 120 miles per hour. Up to 54 seconds in free fall and about 4 – 5 minutes under your parachute. The sensation of free fall is more like flying than falling, and is intensely exciting and liberating. The parachute descent is peaceful and relaxing. Skydiving is like any other extreme sport: there are inherent risks that require careful training and execution. Failure to follow that training can lead to serious injury or death. Skydiving is as safe as the individual(s) make it. The equipment has improved considerably over the old-style round parachute and is so reliable that, when used properly, skydiving can be as safe or safer than any other extreme sport. Can we get one video for our whole group? No, the time/distance gap between jumper exits preclude a camera person from being able to film more than one student at a time. Can I get a video of my jump? Yes. We can provide you with videos that have been edited to music and include a pre-jump interview. Can I bring my own camera with me on the jump? No, you are much too busy with your skydive to look after your cameras. It very easily may get lost or broken and we cannot risk dropping it in free fall or under parachute.